Comment: Because of the lessons learnt from this battle, 104 Sig Sqn and 547 Sig Tp (Plus HQ 1 ATF) were issued with Armored Command Vehicles (ACV) so the communications equipment would not have to be carried forward in cases and dug in. 104 Sig Sqn still has armored vehicles today. 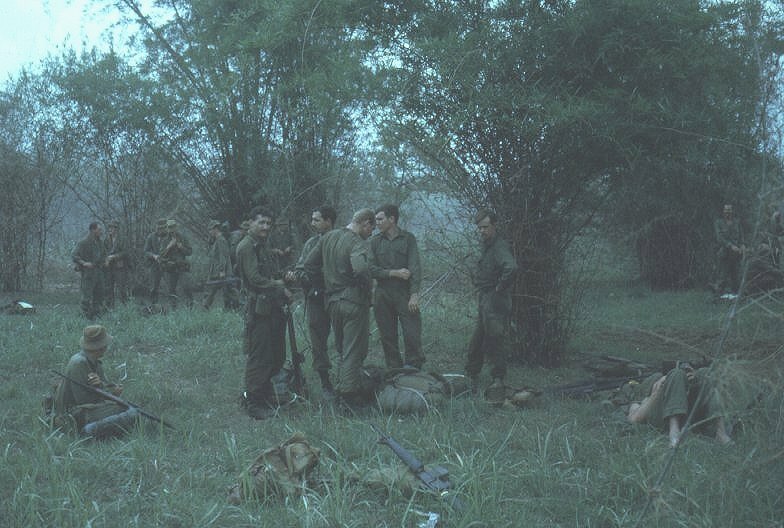 Information: Future deployments 104 Sig Sqn and 547 Sig Tp communications were deployment pre wired and mounted for quick and protected communications. 104 Sig Sqn ACV had the Callsign "85 Charlie" and 547 Sig Tp ACV had the Callsign "85 Delta". 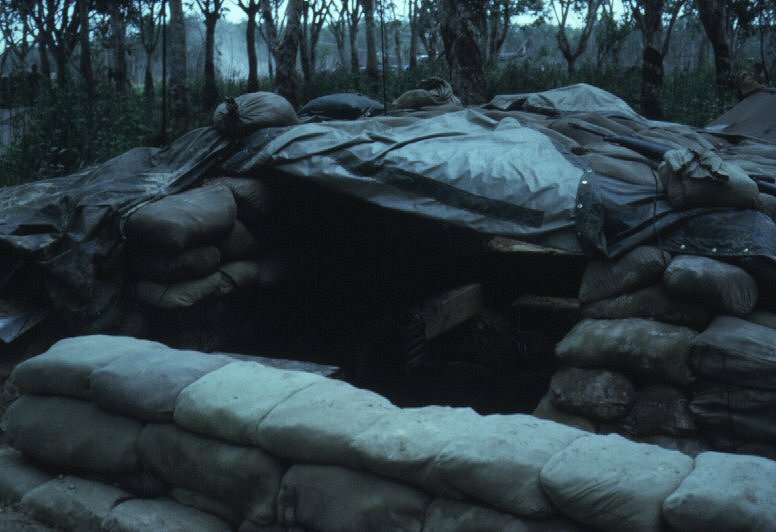 Note: See communication shelter in back ground with sandbags on the air vents to stop light at night. Most likely the Radio Relay AN/MRC-69 from 110 Sig Sqn. 59-17. 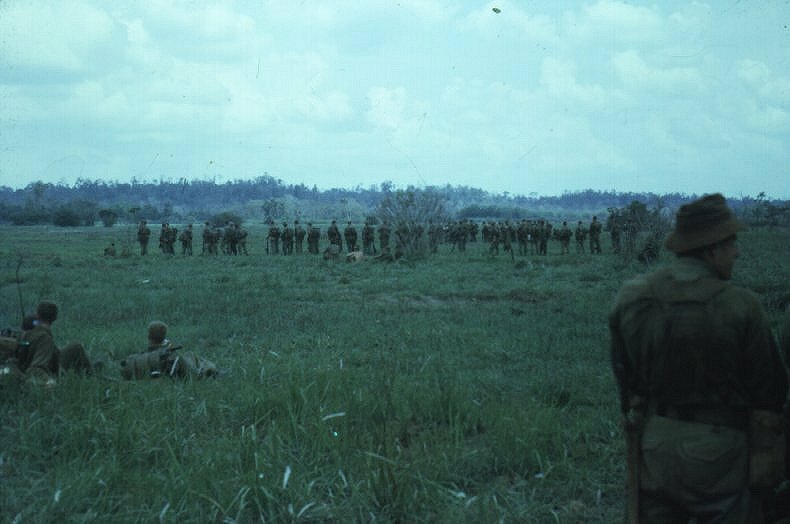 104 and 110 Sig Sqn Vehicles lined up at Nui Dat for the road convey to Bearcat - Start of Operation Toan Thang and the deployment to FSPB Coral. Photos supplied by Norm Munro . 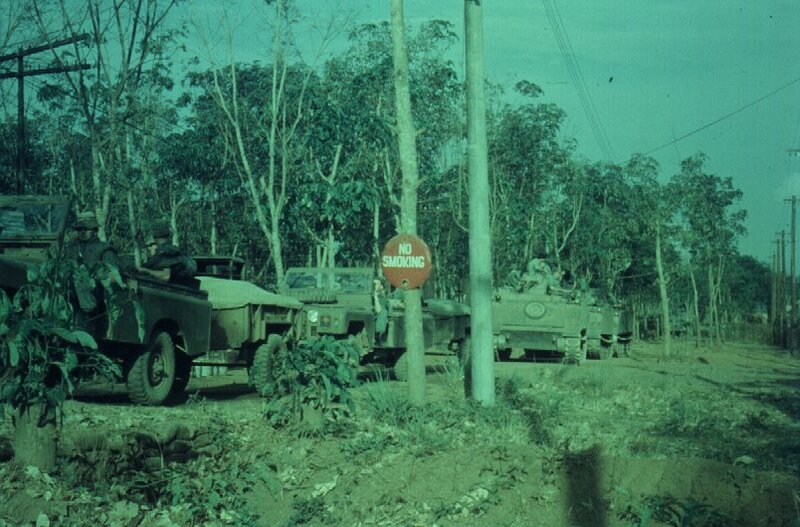 Information: First truck (2.5 ton) has the AN/MGC-17 and AN/MTC-17 Shelters (Both 104 Sig Sqn). 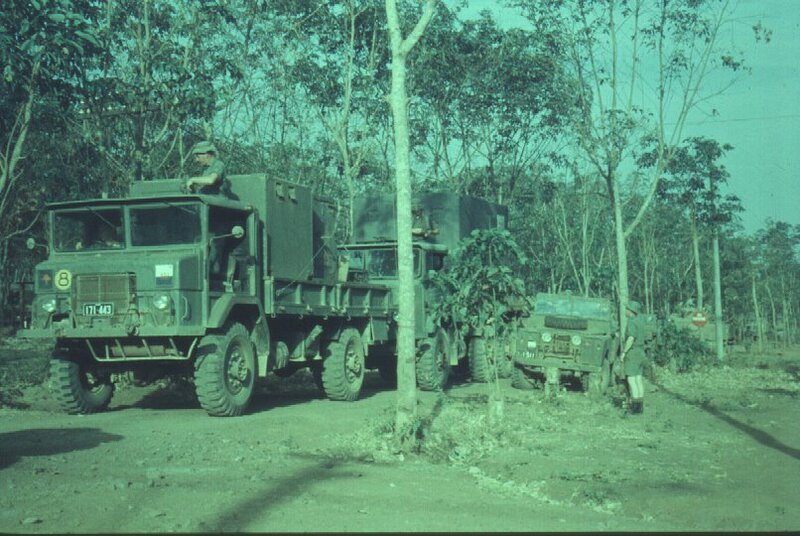 The other truck (5 ton) the AN/MRC-69 Shelter (110 Sig Sqn). 59-18. 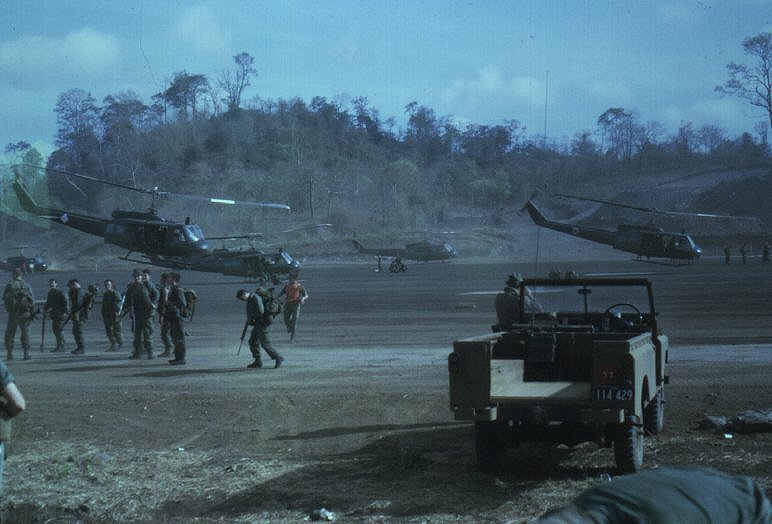 Vehicles lined up at Nui Dat for the road convey to Bearcat - Start of Operation Toan Thang and the deployment to FSPB Coral. Photos supplied by Norm Munro .